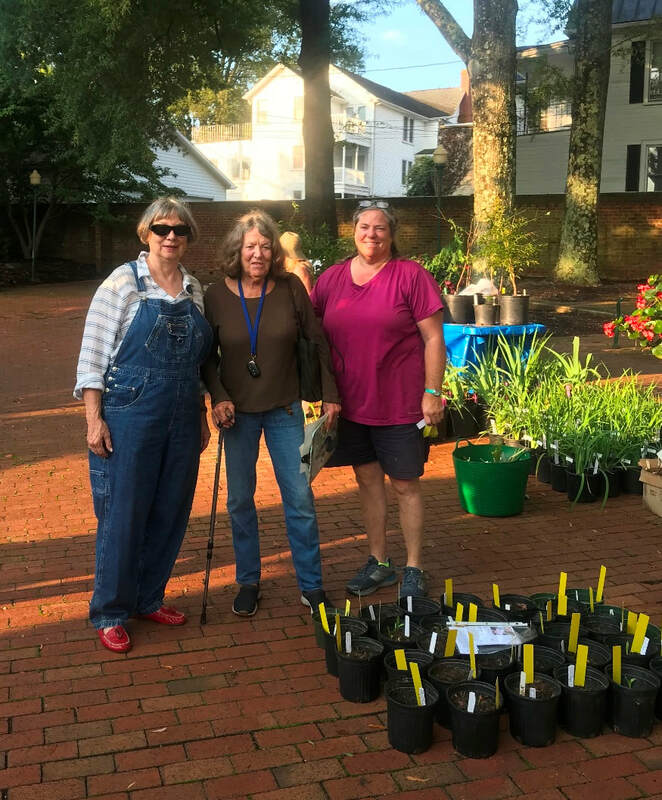 A fun and educational time was had by all who attended the DMGC Bulb Forcing Workshop held at Horticulture Committee Chairman Jane's Hammond's Farm on Sat. Nov. 17th. A large group gathered to learn how to force bulbs as well as how to make a "Bulb Lasagna". Members learned how to force paperwhites and reviewed new GCA Horticulture exhibition entry and propagation cards. Everyone is excited about upcoming Daffodil Shows this Spring and look forward to learning how to grow and show winners for the GCV show in March. Thanks from the Horticulture Committee! 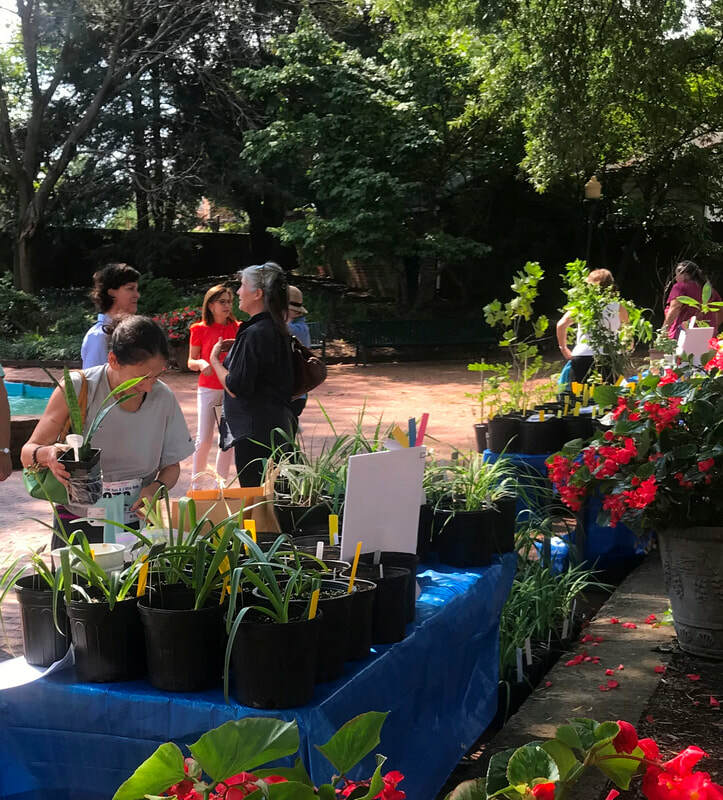 The DMGC Plant Sale was a huge success. 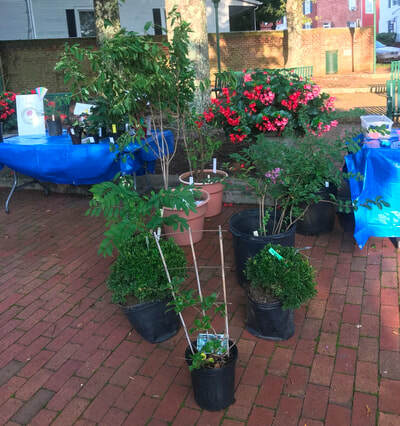 Thanks to the generous support from the public, the sale raised over $2,000 for community projects! 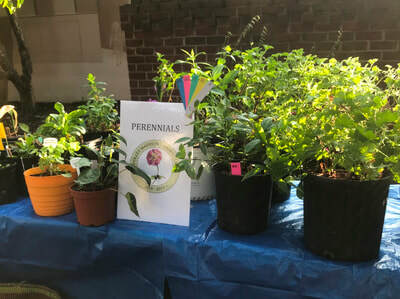 We hope you enjoy the beautiful plants you purchased! During the 2017 GCA NAL Conference we were introduced to numerous outstanding conservation speakers from coast to coast. It is difficult to single out one speaker but I would like to acquaint you with Louie Schwartzberg, whose life work encapsulates horticulture and photography along with the essence of conservation. Schwartzberg is a cinematographer, director and producer of time lapse, high-speed and macro cinematography. Beginning his career in the 1960's while filming campus protests, he went on to become a visual artist who tells stories that celebrate life and the wisdom of nature, people and places. His theatrical releases include the 3D IMAX film, Mysteries of the Unseen World with National Geographic, narrated by Forest Whitaker, and the documentary Wings of Life for Disney Nature, narrated by Meryl Streep. Mysteries of the Unseen World is a journey into invisible worlds that are too slow, too fast, too small and too vast for the human eye to see, while the Wings of Life focuses on pollination and the web of life. Three of Scwhartzberg's TED Talks can be viewed online: The Hidden Beauty of Pollination, Hidden Miracles of the Natural World, and Nature, Beauty and Gratitude. (Please go to the first link to view.) He is currently in production of the Fantastic Fungi that shows how this organism can provide sustainable solutions to some of the world's greatest problems, from curing diseases to saving bees and cleaning the atmosphere. His Netflix series, Moving Art, will premier later in 2017. Those attending were most fortunate to meet Louie Schwartzberg, a genius with talent to share to the the entire world. 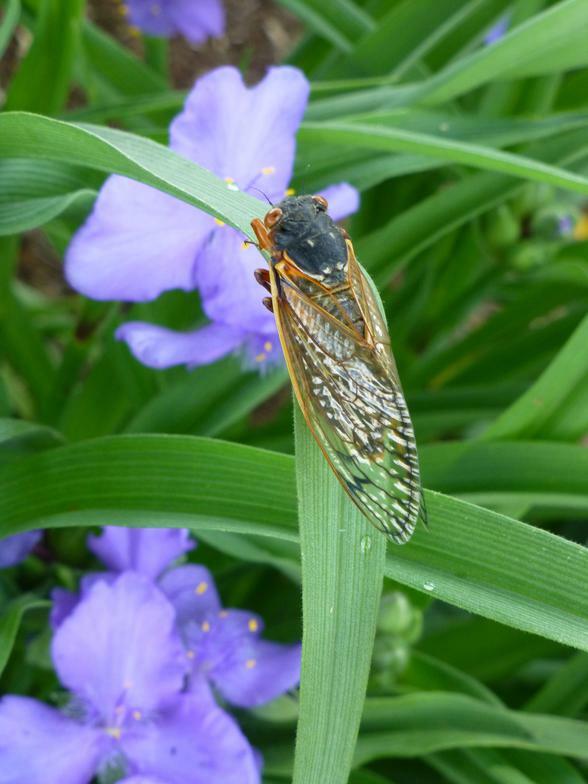 According to Schwartzberg, "Beauty is nature's food for survival---we protect what we love." Enjoy viewing these documentaries on TED Talks, and I hope you will share his knowledge and talents with your family and friends. Tradescantia virginiana, spiderwort, is one of Virginia's most renowned native herbaceous plants. If we had a state plant, as 35 other states do, T. virginiana should be our chosen symbol. It is only fitting this plant was selected to enhance the posters for the DMGC 2016 Conservation Forum. After all what other native Virginia plant has as much history and is recognized in so many gardens around the world? The American Indians used T. virginiana to treat a number of conditions, including stomachaches, kidney ailments, female problems and cancer. The plant's leaf was smashed and applied to insect bites and stings. (Spiderwort was once believed to be a cure for a poisonous spider that later proved to be harmless, therefore the common name, spiderwort) The seeds were crushed into a powder and used as a snuff for nosebleeds. Additionally, leaves were tossed for salads and seeds roasted for soups and breads. The Jamestown settlers learned of the significance of this plant and soon cultivated spiderwort in their gardens. By 1629 this plant flourished in John Tradescant's famous garden, the "Ark" located on the south side of the Thames. Tradescant the Elder, "official" gardener to King Charles I, was a subscriber to the Virginia Company and a friend of Captain John Smith. It is believed T. virginiana was shipped from Virginia to England in Captain John Smith's sea chest. This plant quickly became an ornamental favorite in the seventeenth century and is now propagated in many parts of the world. John Tradescant the Elder and his son, John the Younger, were both famous gardeners and plant collectors. In 1648 Carl Linnaeus, the father of binomial nomenclature, renamed this genus to honor these English naturalist and explorers. This hardy plant shares many characteristics with the daylily. The one inch three-petaled flower, bright bluish-purple, can be found in wooded areas, beside streams and in fields from southern Canada to northern Argentina. 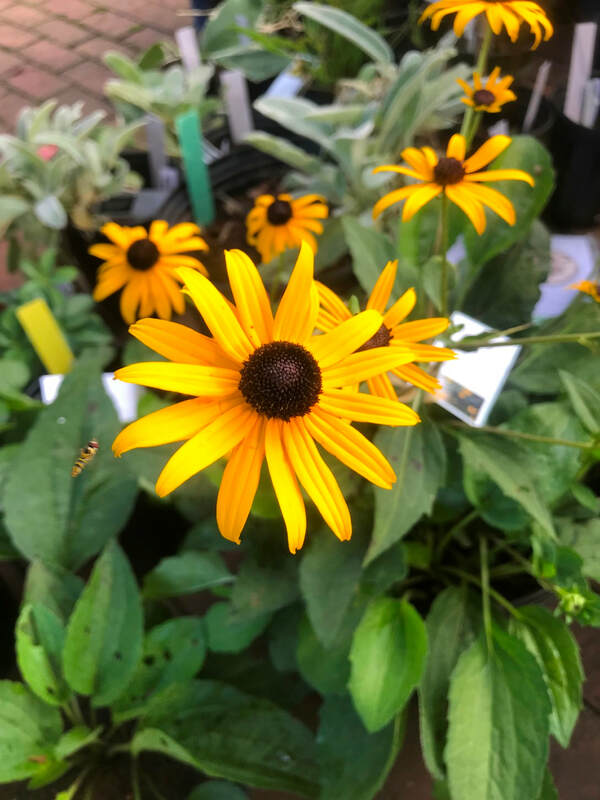 This perennial plants flowers from May to October with seeds ripening between August and October. The blossoms are short lived but new flowers develop daily during he blooming period. 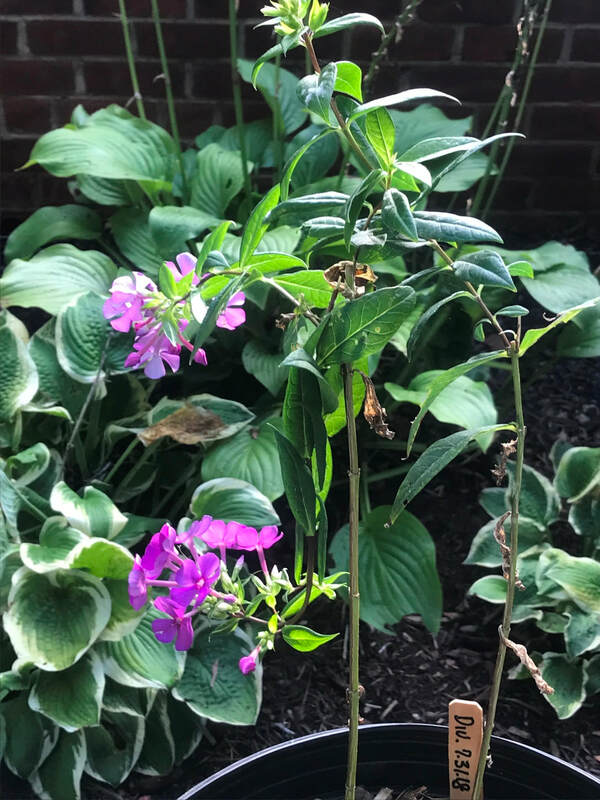 The plant grows to approximately 1 to 1.5 feet with unique leaves that wrap around the stem. The plant prefers moist alkaline soils with shady conditions. The flowers attract butterflies and bumble bees. Even though T. virginiana is a common wild plant, it is cultivated for borders and container gardening. Trillium grandiflorum, (Common names: white trillium, great white trillium or white wake -robin), is an herbaceous perennial native to eastern North America ranging from Nova Scotia south to northern Georgia and east to Minnesota. 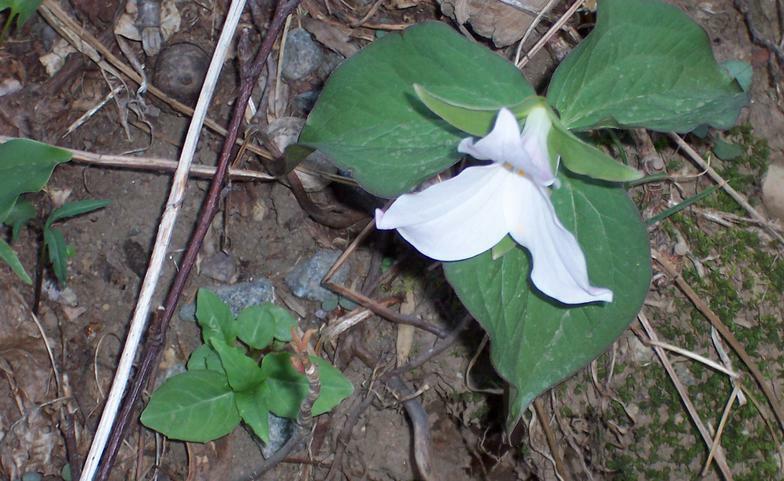 The life cycle of the Trillium grandiflorum harmonizes with the woodlands, especially maple and beech forests. It favors well drained neutral to slightly acidic soils. Common in rich mixed upland forests, T.grandiflorum is a spring ephemeral recognized by a whorl of three leaf-like bracts with six stamens. The single unbranched stem originating from a stocky rhizome stands about 20 inches. A single root can often produce a colony of plants. With an overlapping base and curves, the funnel shaped flower centers on the axil. Opening from late spring to early summer, this odorless, two inch, three-petaled white flower turns pink prior to wilting. Leaves continue until summer when foliage dies back. Released during summer, each white berry contains approximately 16 seeds along with oleic oil, which attracts ants to carry trillium seeds to their nests. At times yellow jackets and harvestmen (daddy longlegs) will broadcast. White tailed deer have been known to distribute by ingestion and defecation. As this plant is particularly attractive to deer, trillium foraging is often used as a gauge of the size of the deer population. T. grandiflorum is a slow growing plant whose seeds require double dormancy, two years to fully germinate. Flowering is usually determined by the surface volume of the leaf and the size of the rhizome which can take up to seven to ten years to reach optimal size for flowering. Due to the popularity of T. grandiflora conservation concerns have been raised, as a vast majority of the plants sold in nurseries are believed to be wild collected. When buying T. grandiflora one must ensure that the plants are grown from sees. The beauty of the bloom is so dramatic that they have been chosen as the state flower of Ohio and the official flower of Ontario, Canada. It was chosen as the Virginia Native Plant Society "Plant of the Year" in 1996. Each spring only miles from our homes in the Shenandoah National Park, nature provides us with a breathtaking site. Under the canopies of this massive forest blooms a small, fragile plant the Trillium grandiflora. 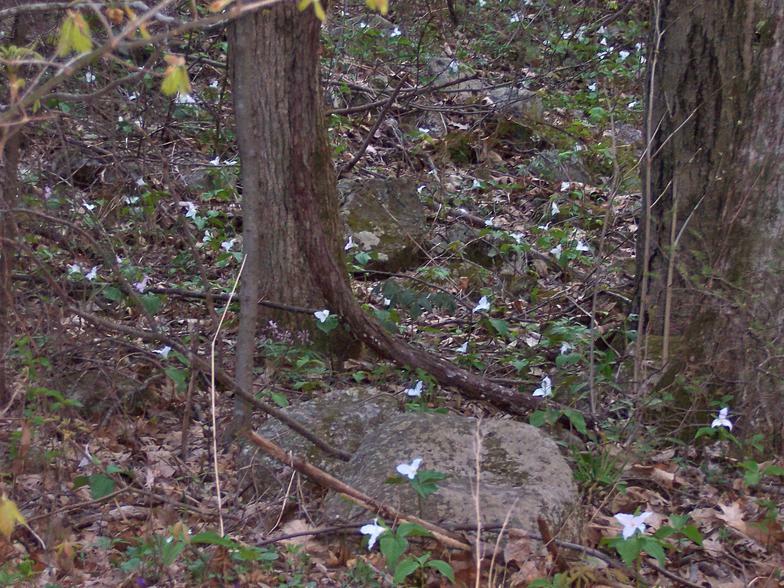 Not only is Camp Hoover noted for its history but also for the colonies of great white trillium found nearby. Perhaps one year in late April, we may all journey to Doubletop Mountain on the easter slope of the Blue Ridge Mountains. Here we can tour the presidential "Brown House" in Rapidan Camp (aka Camp Hoover) and view the incredible site of our honorable mention 2016 Freeman Medal Plant.